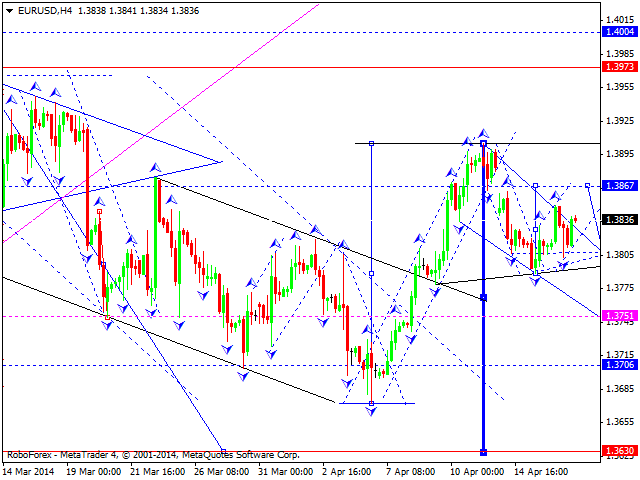 Euro continues falling down towards level of 1.3750. Alternative scenario implies that pair may move upwards to reach level of 1.3867 and then continue falling down towards next target of this descending structure. 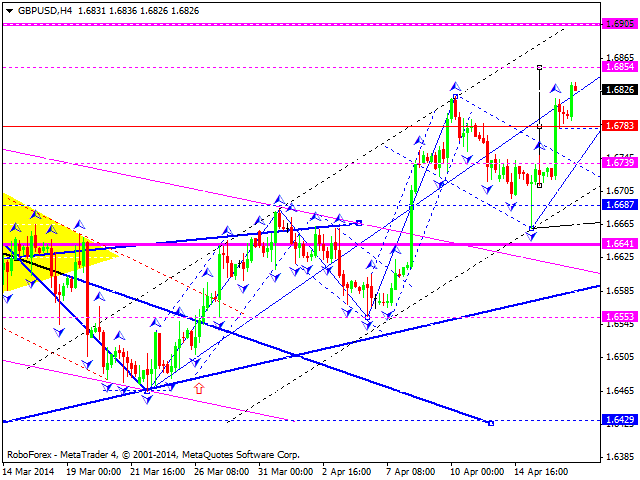 Pound is forming the fifth ascending wave of another ascending structure with target at level of 1.6905. Later, in our opinion, instrument may fall down towards level of 1.6690 and then continue forming correctional bullish flag pattern inside continuation pattern. 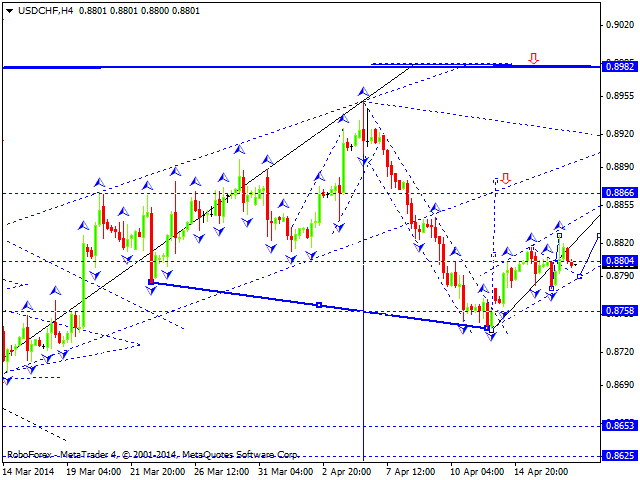 Franc is still consolidating inside and may form continuation pattern towards level of 0.8865; this correction may be considered as bearish flag pattern. Later, in our opinion, instrument may form another descending structure to reach level of 0.8630. 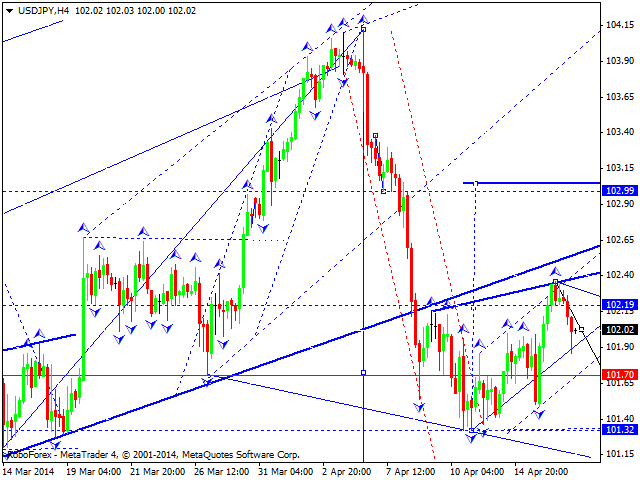 Is moving inside another descending structure with target at level of 101.70. Later, in our opinion, instrument may grow up towards level of 102.70 and then return to level of 102.20. Australian is still forming ascending structure, which may be considered as correction towards previous descending movement; market has reached its minimum target. 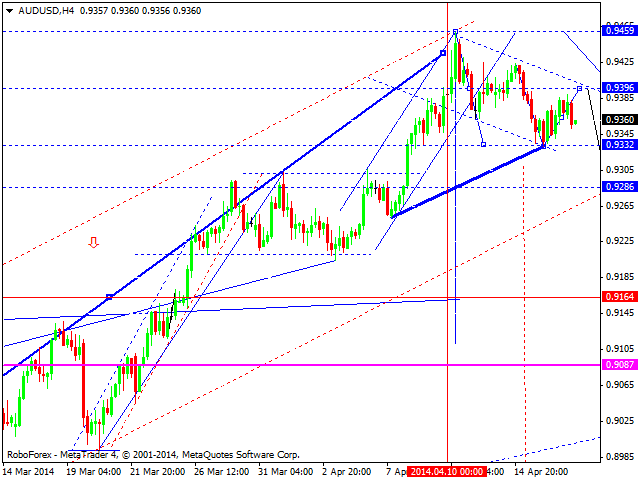 We think, today price may form another descending wave with target at level of 0.9286. Alternative scenario implies that pair may try to test level of 0.9395 from below and only after that start moving downwards. Ruble is moving inside the third ascending wave with target at level of 36.20. 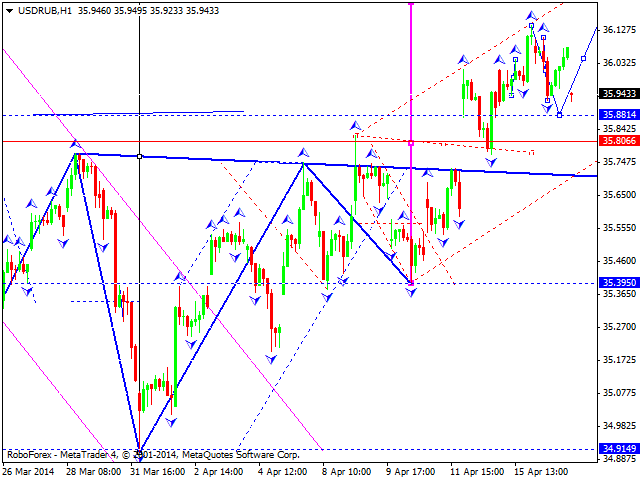 We think, today price may fall down towards level of 35.88 and then form final ascending structure. Later, in our opinion, instrument may form the fourth wave of this correction with target at level 35.77 and then start the fifth one to reach level of 36.60. Gold tried to break the top of its first ascending impulse; right now market is consolidating and forming continuation pattern. 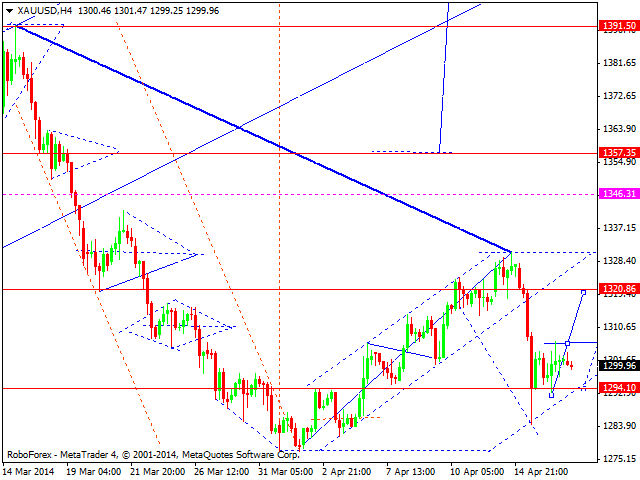 We think, today price may continue moving upwards to reach level of 1320.85. Later, in our opinion, instrument may start another consolidation with continuation pattern towards level of 1357.